Cacao nibs (raw, organic and unrefined dark chocolate) may have a major impact on testosterone levels, increased strength, cardiovascular health and more! Before I get into the nitty gritty of it all I will tell you upfront I am a huge fan of dark chocolate (especially cacao nibs) and believe you should be incorporating it into your diet at least a few times a week. After all, there is a reason the ancient Inca called their cacao beverage the drink of gods! Personally, I mix it into my daily testosterone boosting, muscle increasing, cold busting smoothie. Click the link for the recipe! Let’s take a look at benefits of consuming dark chocolate, especially cacao nibs, which is the most unprocessed form of dark chocolate commercially available. Dark chocolate, specifically raw cacao, is super packed with vitamins, minerals, phytonutrients and unique properties that release special brain chemicals. Here is a quick snapshot of just some of nutrients. 14g of fats including heart healthy Oleic acid and 9 grams of saturated fat which is crucial to your testosterone. Saturated fat often gets a bad wrap but it’s crucial to your testosterone levels. *Iron is absorbed better with vitamin C which my smoothie recipe is abundant in. ** Fiber does not hurt your testosterone levels despite some reports to the contrary. The Performance and Nutrition Research Center at Northumbria University in England recently ran a test on effects of dark chocolate on individuals tasked with mathematical equations. The idea was to find out if the nutrients in dark chocolate would help everyday people perform mentally challenging tasks better at work. The 30 individuals in the test were given a flavanol rich hot cocoa drink before being asked to answer the math questions. Professor Kennedy believes there is a direct correlation between the high amount of polyphenols and flavanols in dark chocolate and the ability to quickly and accurately process information. This can help alleviate stress and put you in a better mood ready to take on the day. Dark Chocolate (Cacao) is high in magnesium and zinc which are important to maximizing your testosterone levels. 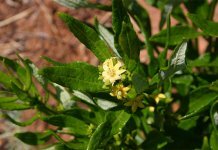 It also helps control blood sugar levels, lower LDL (bad cholesterol) and decrease stress which are all testosterone killers. Cacao is also packed full of healthy fats, supplied in a fantastic ratio for boosting your testosterone levels. Consumption of healthy fats is one of the most underrated and underutilized forms of upping your T! This is huge because strong levels of nitric oxide are directly linked to strong testosterone levels, a strong cardiovascular system and stronger erections. 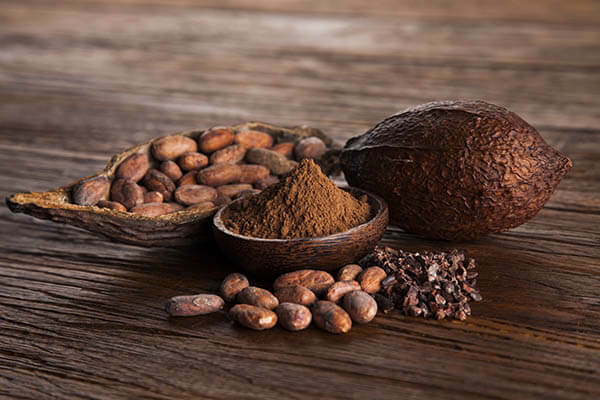 There are dozens of flavonoids in cacao but two flavanols we want to specifically highlight are quercetin which you can read about in our write-up here. 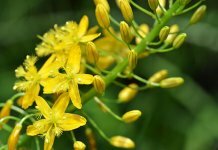 The other is epicatechin, which has been getting a lot of attention in the health and fitness world lately and we will talk about next. As far as testosterone goes, there has been some promising studies in vitro (test tube or petri dish) and on mice but as always, here at iTestosterone, we want to focus on human studies which often times come out quite different. To date, we could only find one study on human subjects which measured strength but not a single one on testosterone levels. In the strength study, 6 middle aged subjects supplemented with 1 mg of epicatechin per 2.2 pounds of body weight twice a day for 7 days. On average this worked out to about 150 mgs per day. A 7% increase in grip strength is nothing special to write home about but the study was not meant to be comprehensive. After all there were just 6 subjects involved for a short 7 day duration. Rather a proof of concept is what was being looked at, to see if further studies were warranted. It achieved that with the results which certainly point to a possible relationship between epicatechin supplementation and strength gains. However, nothing further can be deduced from the study. Muscle mass was not measured and neither were testosterone levels. As for now, there is no reason to believe epicatechin will have any effect on hormone levels either positively or negatively. Consuming dark chocolate, especially in its most pure form, cacao nibs, can provide a plethora of health benefits. I highly recommend you add cacao nibs to your diet, in moderation of course. Just 2 – 3 tablespoons of cacao nibs a day is great for most people. 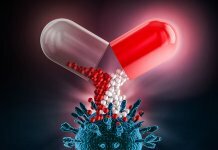 As for epicatechin, I believe you are better off holding back on direct supplementation until further human studies are done which prove it’s worth the money. Stick with dark chocolate instead and enjoy all of the benefits from this nutrient rich food source, including epicatechin. Anthony’s, is the brand of nibs I personally take. I mix a handful into my morning smoothies as well as my oatmeal and quinoa. 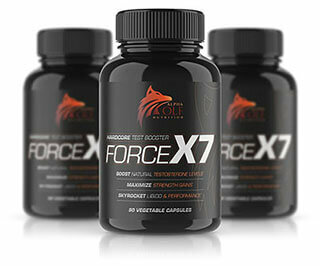 Force X7 by Alpha Wolf Nutrition is the only multi-ingredient, natural T booster I recommend. Next articleTestosterone Boosting Smoothie Recipe – Increase Your Manpower!